It was an awful name for a wizard. Early drafts of “The Hobbit,” the children’s fairytale by J.R.R. Tolkien, referred to the bearded man in the pointy hat as “Bladorthin,” which sounds like an Elvish word for a urological problem. By the time “The Hobbit” was published in 1937, Tolkien had settled on the pithier and much more evocative “Gandalf” for the impatient old conjurer who wields a staff and speaks in riddles. We do not know why Tolkien renamed this pivotal character—or why, for that matter, he dropped the book’s anachronistic references to popguns, train whistles and the Gobi Desert. All were changes for the better. The Inklings bore common scars from World War I. Tolkien, Lewis and Dyson all served on the front lines. In the course of the war, Tolkien lost a handful of school friends who had formed a precursor to the Inklings: the Tea Club and Barrovian Society. The Zaleskis are not the first writers to link Tolkien’s horrific experience at the Battle of the Somme with his lifelong themes of fellowship and loyalty, nature versus industrialism, and simple decency. They also suggest that Tolkien developed a passion for the escapism of fantasy in order to survive the trenches. Tolkien’s first meeting with Lewis in 1926 laid the foundation for the formation of the Inklings several years later (the precise date is disputed). Lewis was a popular tutor in English at Oxford’s Magdalen College: a “red-faced man’s man” who had become the biggest draw among the English department’s faculty for his witty lectures. Tolkien was a chaired professor of Anglo-Saxon and an agony at the lectern, mumbling his remarks about long-dead languages. The Zaleskis paint a more dynamic portrait of him outside the classroom: “He would dash off after Mass on his high-seated bicycle to the university, his academic gown trailing in the wind.” Lewis liked him right away: “no harm in him: only needs a smack or so,” he wrote. The group met in Lewis’s sitting room at Magdalen College on Thursday evenings and also shared breakfast on Tuesdays at a pub known as the Bird & Baby. Thursday sessions began with tea, then pipes, and then Lewis would call out: “Well, has nobody got anything to read us?” Readings and lively criticism followed, leavened with good humor. As Lewis put it: “There’s no sound I like better than adult male laughter.” As this suggests, there were no female Inklings—not that women were banging down the doors. Lewis explained to his brother, Warren, who soon joined: “Sometimes we talk English school politics, sometimes we criticize one another’s poems; other days we drift into theology or the ‘state of the nation’: rarely we fly no higher than bawdy and ‘puns.’ ” What the Inklings liked best was one another’s company. “The Fellowship” is extraordinarily detailed and, at over 600 pages, frankly too long, but it is authoritative and contains many fascinating details about this remarkable intersection of talents. There was a Chaucer scholar (Nevill Coghill) and a medievalist (J.A.W. Bennett), as well as biographers and men of letters generally. Some Inklings were Oxford dons, like Tolkien and Lewis, but this was not a requirement. Membership was fluid and informal. Owen Barfield, who found fame late in life for his study of Coleridge and his writings on Rudolf Steiner’s anthroposophy, was a solicitor in London. Partly because of the physical distance from Oxford, he attended meetings less regularly than other Inklings. But his separation also had something to do with pride. For years Barfield failed to keep up with his fellows, especially the hyper-productive Lewis, who seemed to put out a new book of popular theology every year. T.S. Eliot haughtily declined to publish Barfield’s poems, and the drudgery of office life wore him down. When he finally caught his break in the late 1950s, the Inklings had begun to disband. Charles Williams, a novelist and theologian, was for years an editor at the Oxford University Press. Hyperactive, animated and electric, he is the biggest personality in “The Fellowship”—which is saying something, given Lewis’s outsize character. His offbeat enthusiasms (sadomasochism, tarot cards, the occult) jazzed up the otherwise staid group and put off some of its members; Tolkien for one was never at ease with him. In 1945 his premature death brought the Inklings closer together for a time. There is an irresistible aroma of romance in this group of magic-minded scholars, but the Zaleskis show, perhaps unintentionally, that the proceedings could be tedious. Warren Lewis wrote that his brother and Dyson once argued until they “discovered that they were talking about different subjects. Each side then restated its war aims, and they set to again. When or how the argument ended I don’t know, for it was still going strong when I went to bed at eleven.” Tolkien and Lewis also traded brittle grievances born of religious difference (Lewis harbored a prejudice against Catholics), as well as lapses in tact. After reading “The Lord of the Rings,” Lewis generously reported, “I have drained the rich cup and satisfied a long thirst.” But when Tolkien read “The Chronicles of Narnia,” he hated its slapdash mythology: a witch here, a castle there, but never a cohesive and integrated world. 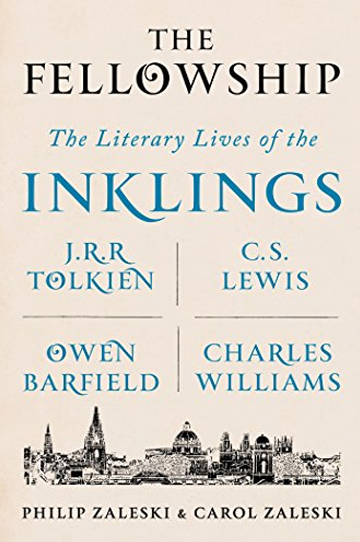 Yet as Tolkien shrewdly put it to his publisher when making the case for “The Lord of the Rings,” “those that like this kind of thing at all, like it very much, and cannot get anything like enough of it.” They will like this book very much too.